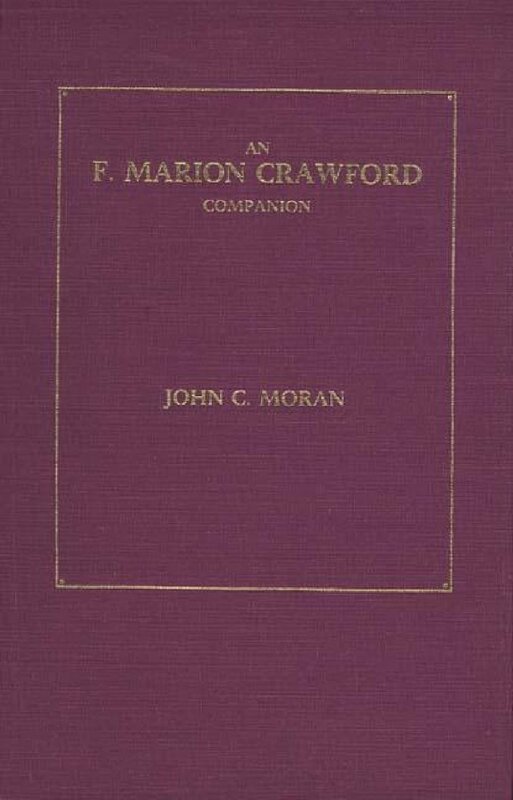 È con piacere che qualche giorno fa ci siamo ritrovati nella casella email del Crawford una missiva di John Charles Moran, l’autore di “An F. Marion Crawford Companion” e altri testi su F.M. Crawford, nonchè Direttore della “Francis Marion Crawford Memorial Society” – Nashville – Tennessee (USA). Questo segno dagli USA ci può solo fare bene e far alzare il prestigio del Premio Crawford per le prossime edizioni. Your most welcome and praise-worthy labors on behalf of the great writer Francis Marion Crawford and the distinguished Crawford Prize for horror literature that you have recently created has only now come to my attention. I have just finished reading the “web site” limited by my very poor Italian language skills, but I understand what you have accomplished. Please accept my best thanks for what you have done for Crawford’s memory and legacy. I embolden myself to do this based on being a devote of FMC since 1958 in high school and later as defender of his literary and historical work since 1975 as a founder of “The F. Marion Crawford Memorial Society”, and principal Editor of its literary review “The Romantist” (19777-1997) among other efforts on FMC’s behalf. Are you familiar with the existence and most valuable work of the Centro Studi e Ricerche Francis Marion Crawford ” in Sant Agnello di Sorrento? It was founded by our very close associates in Italy in 1998 and publishes an excellent review of local history “Genius Loci”. Its President is Mr. Antonino De Angelis. They formally continue this Society’s work. Again, thank you for focusing on and honoring Crawford in such an important way. Please continue. In closing, I can not be a site follower because I will not use Face Book and similar mechanisms, because I am convinced that the all are governmental front operations for spying on harmless people, not just dangerous ones. Please accept my very best wishes. This entry was posted on Tuesday, December 3rd, 2013 at 11:23 am	and tagged with An F. Marion Crawford Companion, Antonino De Angelis, centro studi, Crawford Award, francis marion crawford, Francis Marion Crawford Memorial Society, horror books, horror novel, horror story, John Charles Moran, letteratura horror, Nashville - Tennessee (USA), premio crawford, riconoscimenti, The Romantist, university and posted in Premio F. M. Crawford I Edizione. You can follow any responses to this entry through the RSS 2.0 feed.